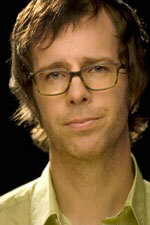 NEW YORK: The 131st AES Convention will host a rare one-on-one interview with international recording star Ben Folds. Set for Friday, October 21, 2:30 pm - 4:30 pm, at the Jacob Javits Center, the wide-ranging dialogue will cover Folds’ career, creative influences, collaborations and, his perspective on today’s music business. Folds will also discuss (and play cuts from) his new 3-CD career retrospective, Best Imitation of Myself. In 1997, worldwide sales of two million+ copies of their Whatever And Ever Amen CD, and hit ballad, Brick, rocketed Ben Folds Five to international prominence, Continuing hits like Rockin’ the Suburbs and Landed; his 2010 Lonely Avenue collaboration with noted author Nick (About A Boy) Hornsby; and regular appearances as a judge on NBC’s hit a cappella series The Sing-Off, keep Folds in the public eye. Errol Kolosine, Assistant Arts Professor, NYU Clive Davis Institute of Recorded Music, will conduct the interview. As GM of indie label Caroline/Astralwerks (Virgin, EMI), Kolosine worked with such artists as The Chemical Brothers, Fatboy Slim, Air, and Ben Folds Five. He received an Executive Producer Grammy nomination for the soundtrack of HBO’s “Six Feet Under” series. The interview will conclude with a lively audience Q&A. “We are delighted to offer Convention attendees the opportunity to gain first hand insights from an artist of Ben Folds’ stature,” said AES Convention Chair Jim Anderson.